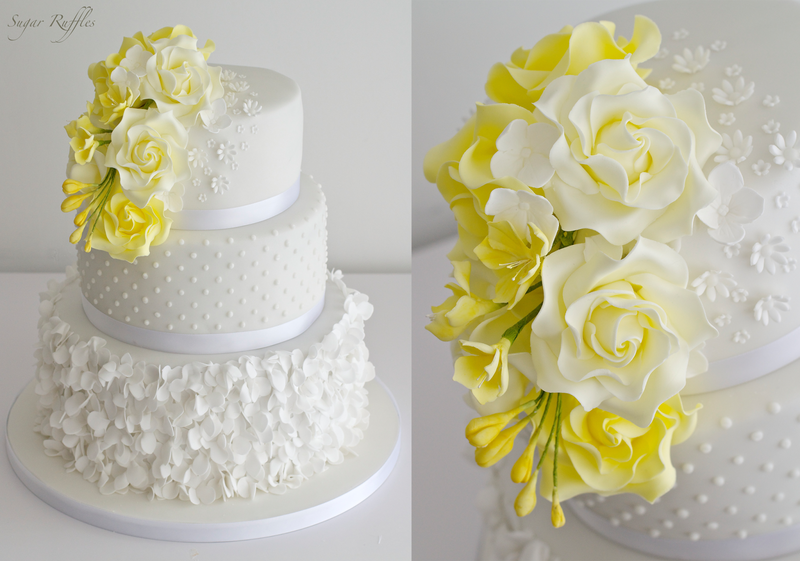 Wedding cake with petal ruffles, piped swiss dots and cascading yellow sugar roses and freesia. Delivered to Inn on the lake today for the wedding of Charlotte and Matt. Congratulations to you both!